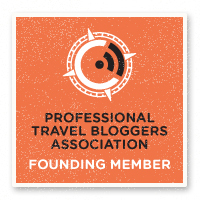 Thanks so much for being a valued member of the Flashpacker HQ community! I’ll do what I can to answer any questions and respond to emails in as timely a manner as possible. Please be aware that I’m sometimes without internet for a few days during travel periods but will respond to all emails as soon as I can. If you’d like more information about travel, photography or travel blogging, please take a look at my Plansify profile. This is the best way to get an in-depth response quickly. If you have a quick question or want to get in touch, please use the form on the left. Advertisers and Parternships – Do you have a brand or destination you would like to feature on Flashpacker HQ? Please take a look at my Work With Me page for information.